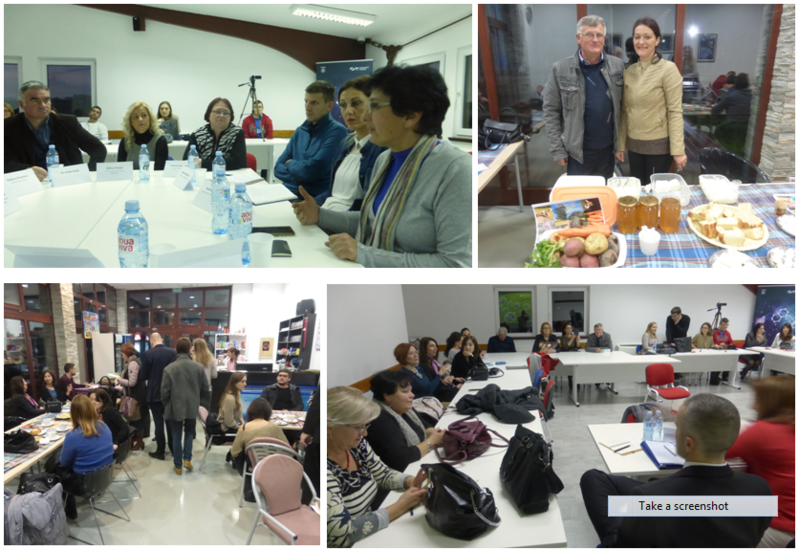 That is how one of our key speakers got to Petnica Science Centre for our first Strength2Food hybrid forum on Monday, 27th November to discuss the topic “How to improve the quality of children’s meals in primary schools”. 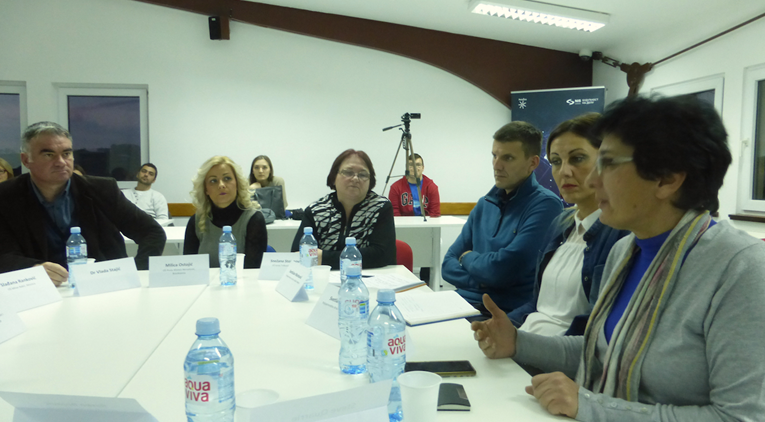 The event was held in Serbia’s unique Science Centre, an independently-funded organisation providing research opportunities for primary and secondary school children from both Serbia and the rest of Europe, 90 km south-west of Belgrade near the town of Valjevo. That meant a minibus for many of us to get there. For the Part I expert panel we brought together expertise ranging from school directors, and Ministry of Education representatives at one end to expertise in child health, public sector procurement, agricultural advisory services and a grower organisation at the other end. The final expert contributor was the lady with the crate of food representing the people at the sharp end of school meals, the cooks. Our 8 expert contributors had a very productive round- (square-) table discussion covering all possible aspects of the chain between food production and child health, with many suggestions and pointers for the way ahead identified. It was a shame to interrupt these discussions for the lunch break. However, not only did we have to fit in the lunch break (ably assisted by the cook on the bus) but several participants had brought samples of their own food products to display before Part II (the general discussion for all stakeholders) began – vegetables, pickled cabbage, honey, cream, cheeses, pastries and other Serbian specialities. We expected a couple more food displays, but the first winter snows on the surrounding hills prevented them getting to the event. Part II allowed new points of view to be aired from several other primary school directors, the director and main cookery teacher from a local secondary school and representatives from the Valjevo health clinic having to cope with the problems of unhealthy eating such as obesity and diabetes. All agreed that a key target for future activities to improve awareness of the benefits of more nutritious school meals and healthy eating habits should be the children’s parents. Procurement Law was a constant concern of the school representatives, so our favourite expert panel speaker was the expert in procurement Law! With all the participants coming on the bus from Belgrade, we had similar numbers present for both part I (the expert panel discussion) and part II, around 30 and 34, respectively. It was an event enjoyed by all who took part. We look forward to using the findings from our first hybrid forum to plan the focus for the next one.